The set of cheerful Rainbow Wall Decals by Bunni will elevate your kids room decor with its trendy bright colours. Decals provide an instant decor upgrade for your child’s room or nursery wall. 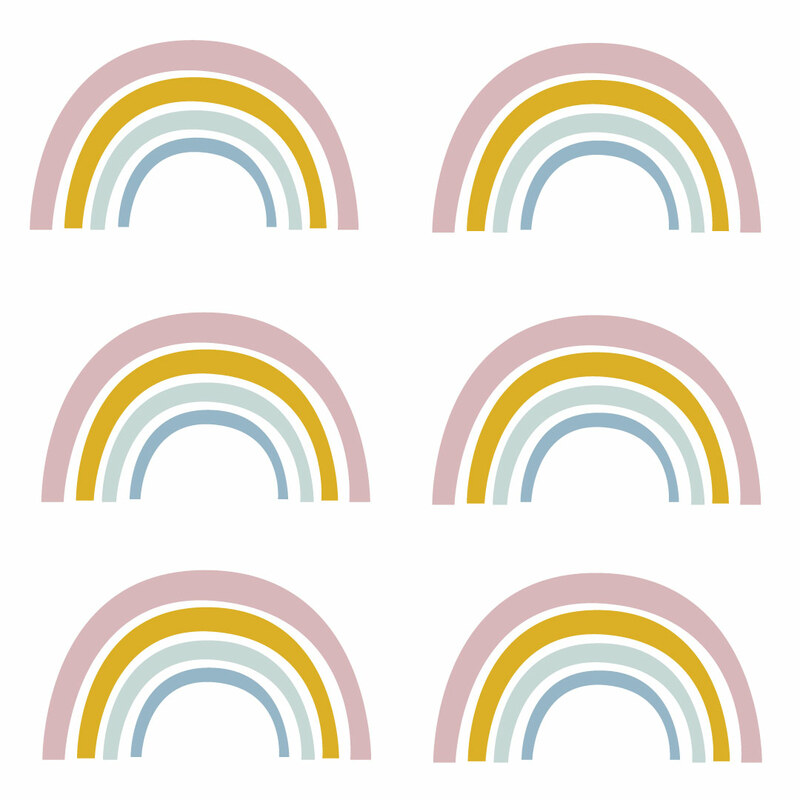 These gorgeous original decals feature rainbow shapes comprised of bright yellow, soft pink and blue lines. 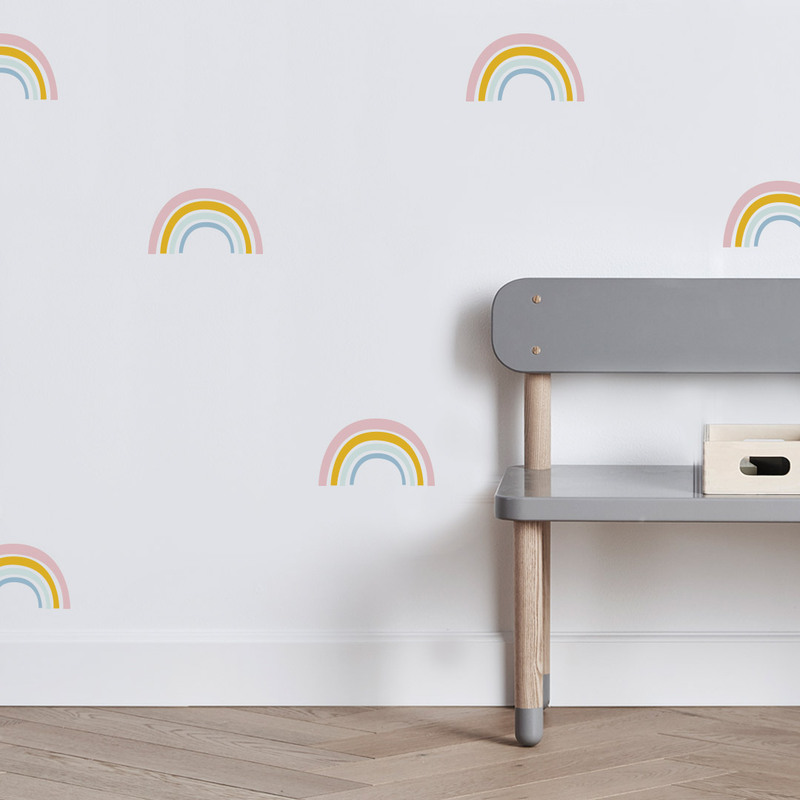 Even if you aren’t doing a rainbow themed room these adorable decals will add an element of fun to your wall space. Simply cut them and stick them on the wall randomly for a fun look.